An excellent Q&A! Julia, you asked exactly the questions I wanted to know. Natalia, it’s been wonderful to get to know you through the publication of Chasing the Sun. I was told by another author that he never truly knows what his books are about until they go out into the world and readers zero in on aspects that hadn’t noticed fully before. Only then does he understand the depth and breadth of the story’s impact, which is often different from his initial expectation. It sounds like you’ve had a similar experience. 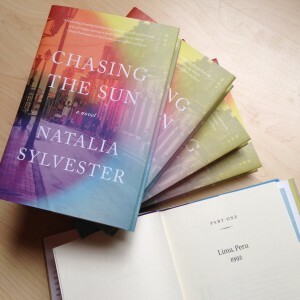 Best of luck with Chasing the Sun. Wishing you continued success! Thank you so much, Jackie! It’s been a pleasure getting to know you too throughout this process! I love the idea of not fully knowing what our books are until they’re out and we get to see what they’ll become. So interesting…as if they take on a life of their own. Great interview! I have a copy and can’t wait to read it. (So take me out of the giveaway). Thanks so much, Leah! 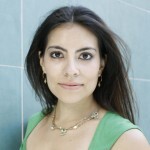 I so loved Julia’s questions; she’s definitely one of the readers I refer to who have helped me discover knew things about myself and the book. Can we do a group hug now? I’m so blessed to have count both of you as my friends—it’s amazing to think we’ve never met and yet there’s such a true connection. Like the rest of your responders, I thoroughly enjoyed reading this interview. Your questions get right to the heart of the matter — answers to what the rest of us are eager to find out. Thank you! Thank you so much for reading, Laurie! I’m glad you enjoyed my (pretty long-winded, now that I think of it!) answers. Julia’s questions were so thought-provoking that I could help myself. What a great interview with Natalia!! I already have the book (of course!) but I would love to win one to give as a gift. I haven’t read it yet, but it is in my summer “I can’t wait to read this!” stack. I was with you for the beginning of the blog tour & then, as life distracted me a bit, I lost the route & somehow am blessed to have seen your tweet today about this stop! 🙂 As you know, I’d be most honoured to read your debut novel, as I did try to get on the blog tour; sadly, you’re already popular & I was too late! That’s good news though! It means that your readership is already quite strong & each book blogger who has featured your novel is getting new readers interested in your work! Always a positive thing! 🙂 I am so appreciative that our paths crossed prior to your book launch, and I have been happy to support you as the launch goes forward! I want to come back today & re-read this post. I’ll leave a longer note then, as I’m a bit out of time right now! 🙁 I host a weekly chat on Twitter & now I’m quite hankering for a bit of nosh! Love the showcase & support your receiving! Beautiful to see new authors welcomed by other writers & readers alike! Your in the joy of the moment! 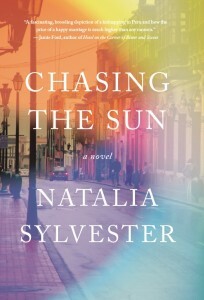 Chasing the Sun has been at the top of my summer reading list, though I haven’t yet purchased it. I enjoyed this interview and it makes me even more anxious to read the novel!